Tyler Sanders began raising Boer goats by keeping his show does after they had completed their showing careers. Eventually, he started incorporating superior genetics into the herd. Currently, he’s completing a feasibility study of the marketability of goat jerky, goat meat sticks, goat soap and goat cheeses in his area. Sanders is supported by his parents Jan and Robbie and his FFA advisor Justin Boone. 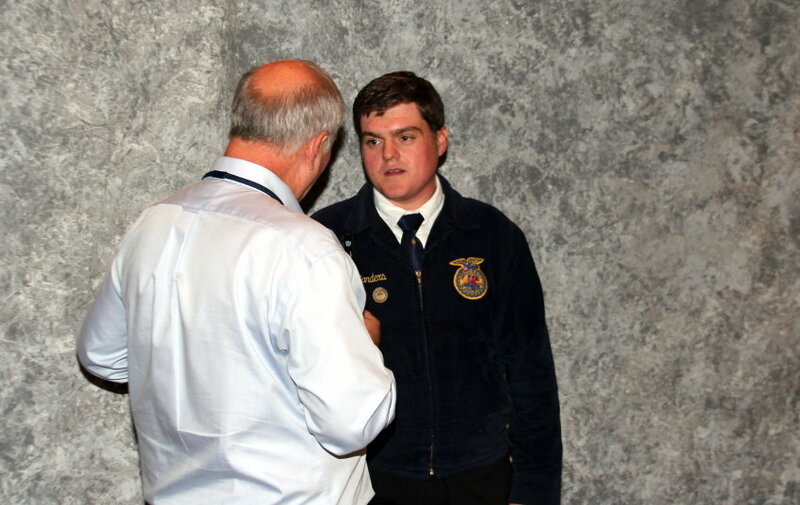 Farm Director Ron Hays talked with Sanders about his Supervised Ag Enterprise after he received the National award on stage in Louisville at the 86th annual FFA Convention. You can hear that Interview by clicking on the LISTEN BAR below. Ron Hays talks with Tyler Sanders about his winning SAE.